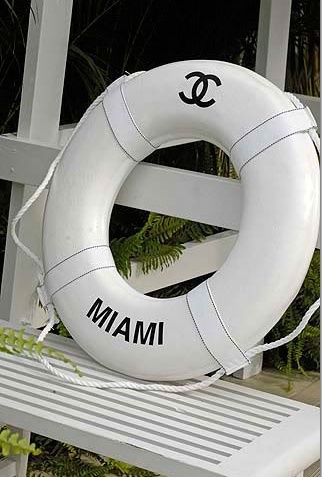 Everything Coastal....: A Life Preserver? 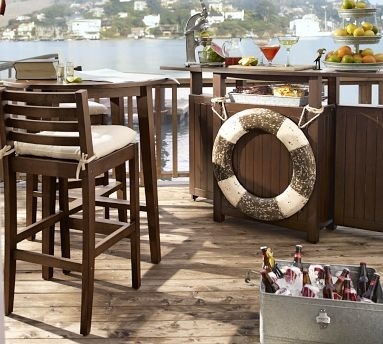 9 Ideas for Coastal Decorating! 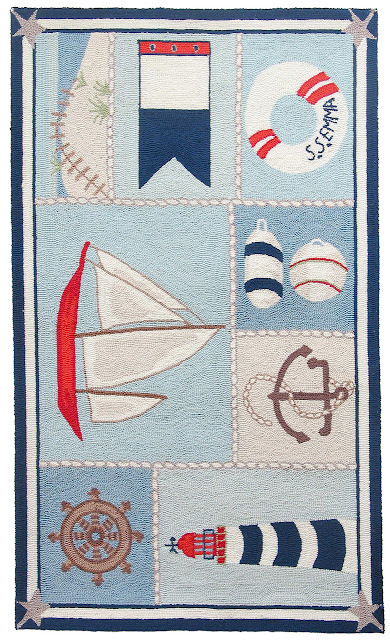 When you grow up around boats in the Puget Sound, life preservers don't always translate themselves into a good idea for "nautical" home decor. You know, a lot of grime, dirt and more than a few barnacles don't really look that appealing. Now that I am "grown up" (sort of!) 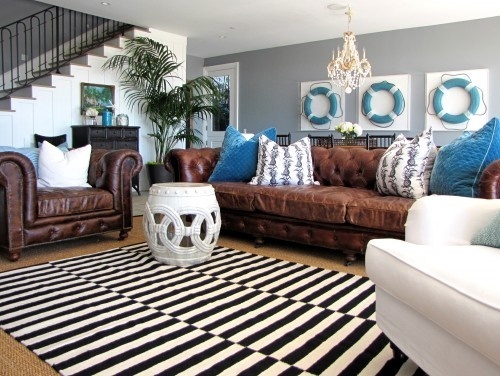 I have a new appreciation for how they might look, in all kinds of coastal homes, from a cottage look to more of an upscale room. Take a look at all of the other ideas that I've found for inspiration. Enjoy! Vintage desk - love the typewriter and globe. Absolutely need that chair! 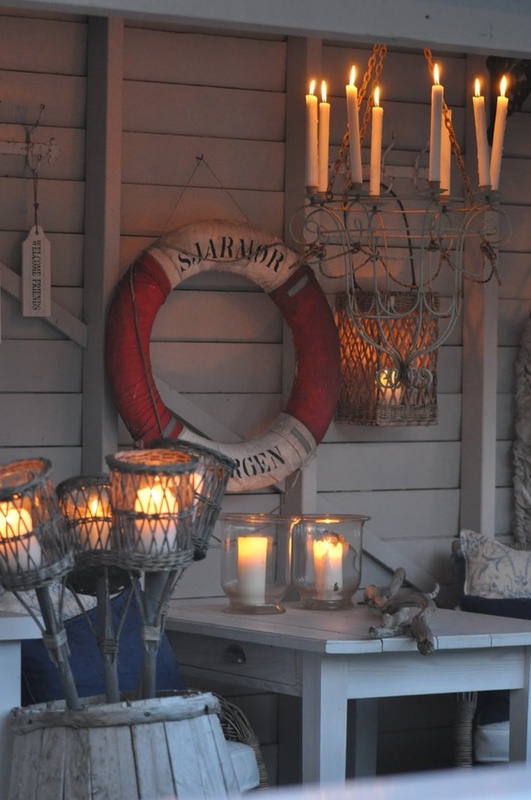 Outside seaside porch from my new blog crush - Karnas Hus! 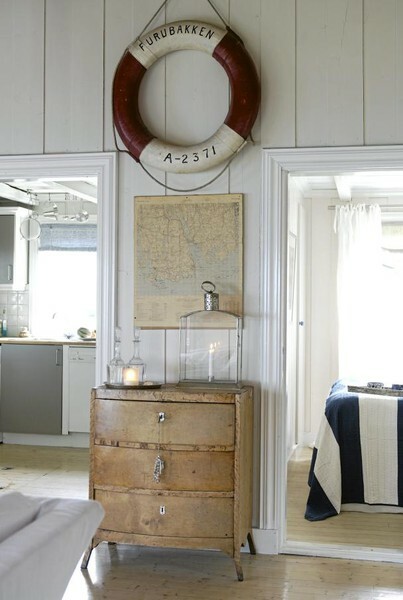 Cute vintage cottage, complete with vintage elements - love the nautical chart art. Pretty beach "shack"! Can't you just imagine a day on the beach? 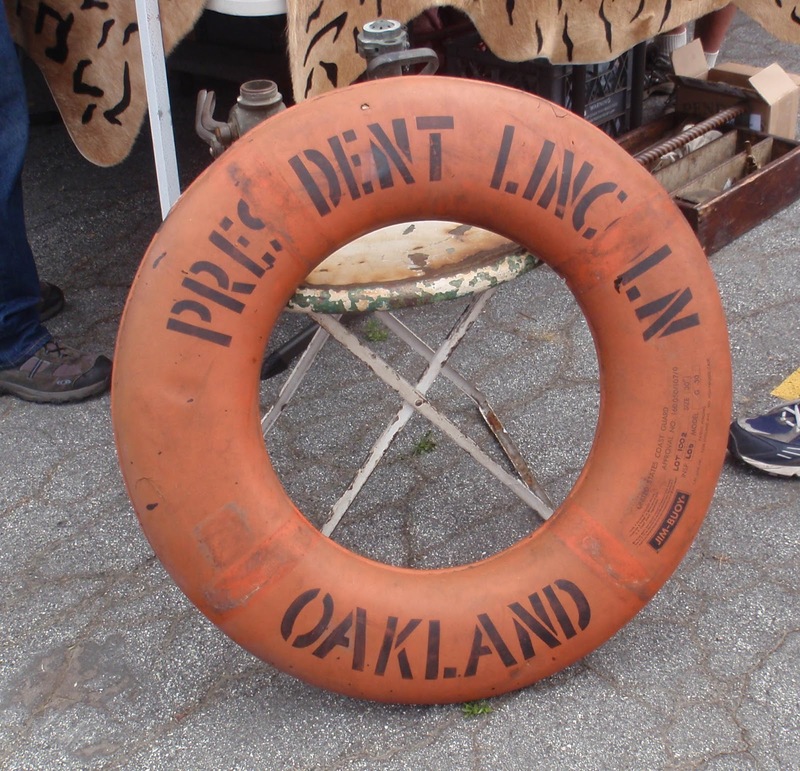 From Three Potato Four - a very cool vintage shop! 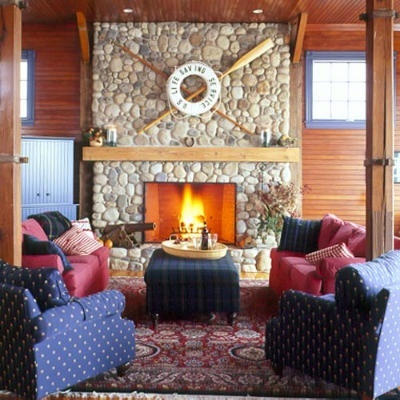 Like this look from Coastal Living with the river rock fireplace and oars. 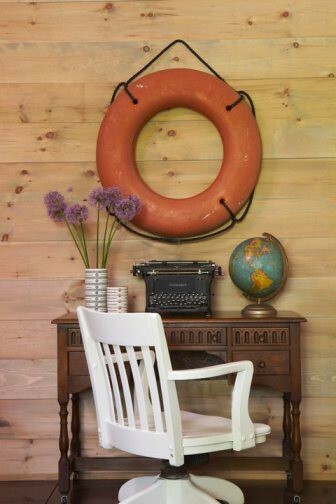 Discovered at Houzz.com -like the shell chandelier combined with the turquoise "framed"
life preserver art. Unique idea! Here's a few ideas from our online to store to help inspire you too. 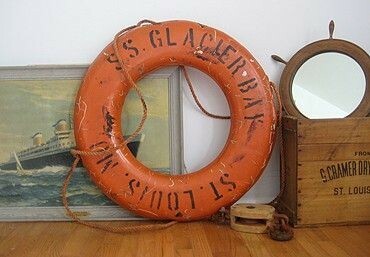 The starfish on the side of the life preserver is a great addition! 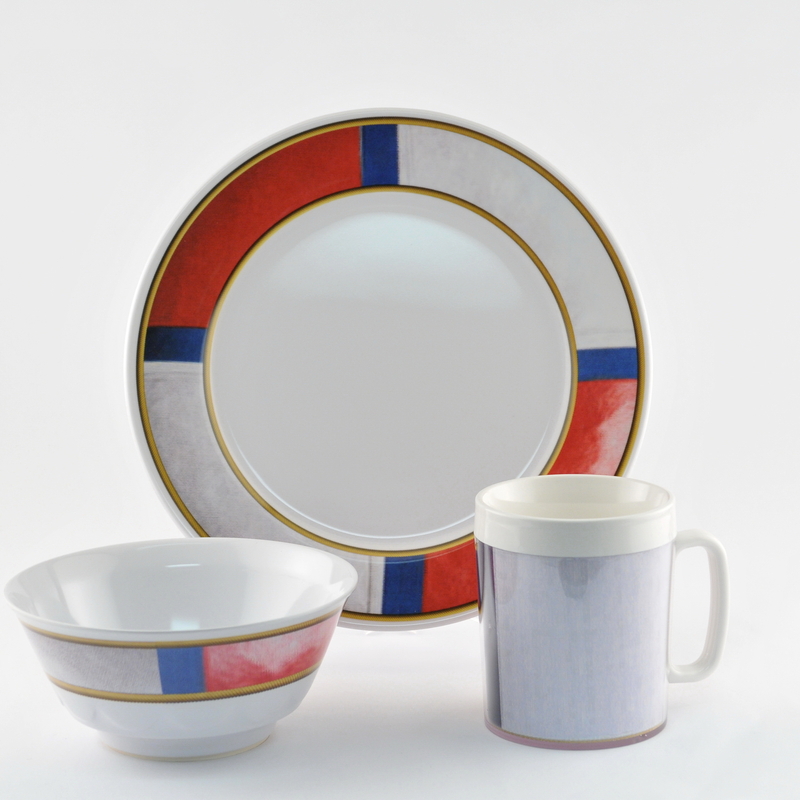 Don't forget about fun dinnerware too! 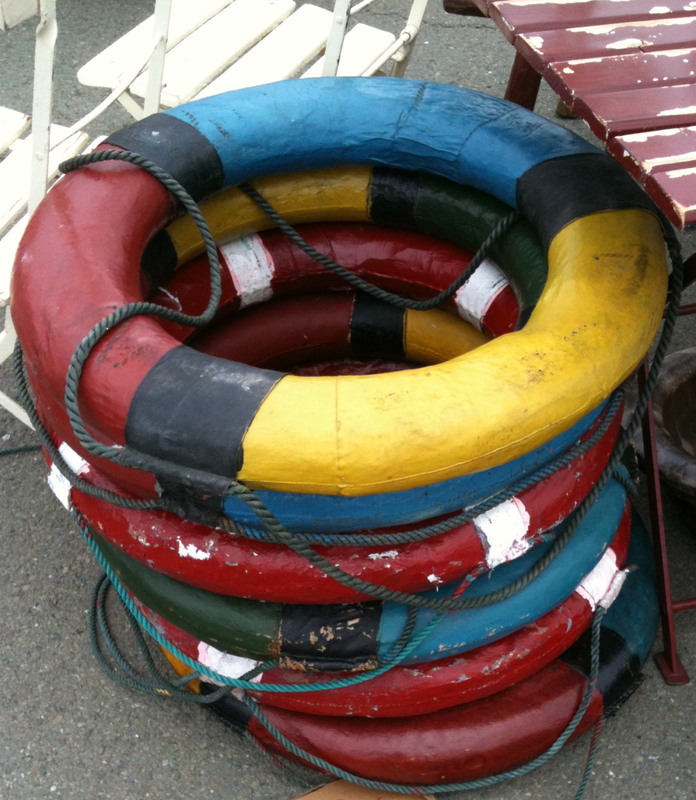 Great for decks, boats and picnic baskets! Hey Caron! Thanks for the mention! 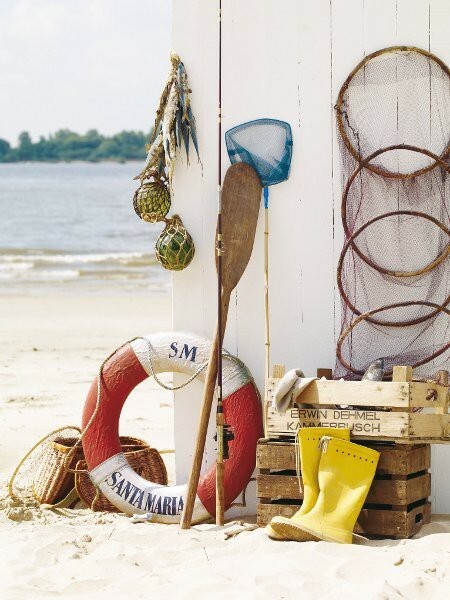 Loving the Beach living pinboard - Added a few pins last night :) Thanks for the invite to join! I like the look of the old authentic ones that spent time at sea but agree ones that are stinky no thanks. Beach House Living - cracking me up! Have seen lots of stinky ones in my time! 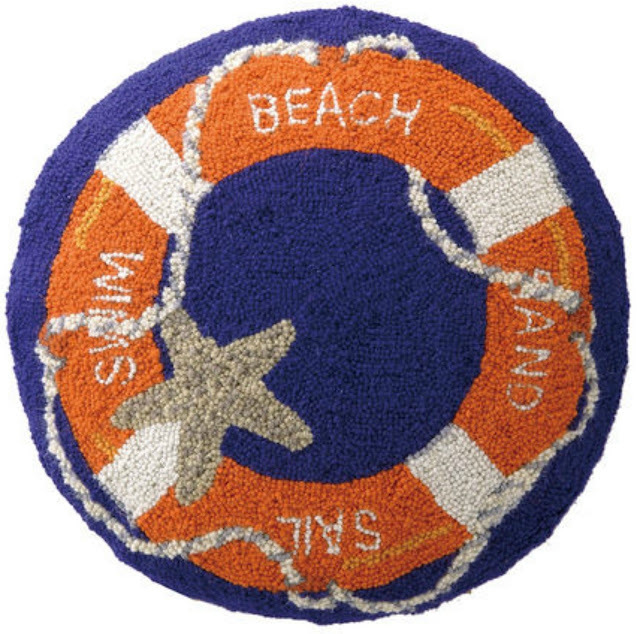 They make such great decorating pieces ...we call them life buoys her in Australia! Great photos, we found one washed up on our beach here in Devon, with light attached to it! Thanks for sharing! Have a great day!